Despite its huge potential in the region, solar PV has not yet gained traction in Central Asia. In Kazakhstan, two utility-scale PV projects have been realized, and a few are in the pipeline for Uzbekistan as it begins to attract international investors. But many challenges on the policy level have yet to be overcome, as Komila Nabiyeva explains. In June 2017, Central Asia suddenly moved into the spotlight of the international renewable energy scene. With the support of the International Renewable Energy Agency (IRENA), the energy ministries of Kazakhstan, Uzbekistan, Tajikistan, Kyrgyzstan and Turkmenistan have all committed to accelerate the uptake of renewable energy. This commitment is long overdue: Despite huge potential in the region, solar and other renewables have gained little traction. 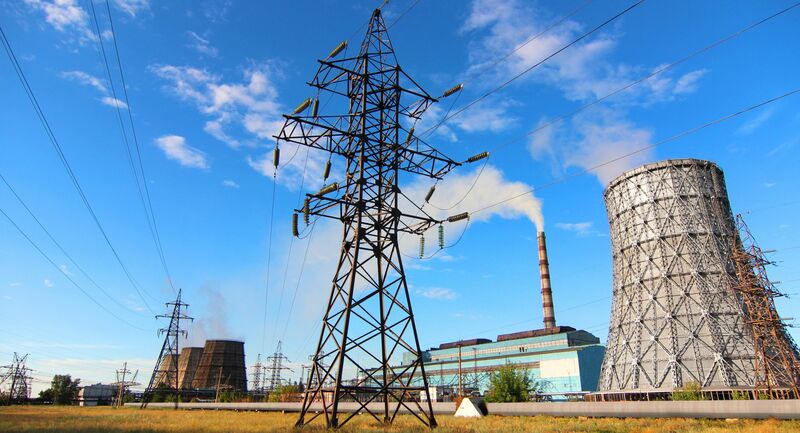 Currently, their share in the electricity mix – excluding large hydro – ranges from less than 1% in Kazakhstan to up to 3% in Uzbekistan and Tajikistan. Wind power and solar PV energy in Kazakhstan, solar energy and biogas in Uzbekistan, small hydropower plants in Kyrgyzstan and Tajikistan and solar energy in Tajikistan and Turkmenistan have the highest prospects for power generation, according to the United Nations Development Program (UNDP). Solar water heating and decentralized off-grid power generation from renewables could offer a strong case in distant rural areas with limited access to the grid and to conventional energy sources. A number of barriers hinder the development of renewables in this region: high fossil fuel subsidies and low electricity prices significantly reduce their competitiveness. Potential local investors in renewable energy have limited access to affordable bank loans and often cannot afford high initial investment costs. Another barrier is the lack of know-how and a limited number of local technology providers and specialists in the renewable energy sector. Yet, especially in Kazakhstan and Uzbekistan, things have started to move. Uzbekistan is at the initial stage in its renewable energy development, while Kazakhstan is a few steps ahead, says Viktor Wiederspan, CEO of German-based company NwComp Solar, who visited the Power Uzbekistan exbition in the Uzbek capital Tashkent in May. NwComp Solar, and its subsidiary in the former capital city of Almaty in southern Kazakhstan have also been working in Kazakhstan for five years. Uzbekistan is the most populous country in Central Asia, with its 32 million people making up nearly half of the region’s total population. The gas-rich country is also the largest energy consumer in the area, and therefore potentially the biggest market for renewable energy. The driver for the development of renewables is the increasing energy demand. Since President Shavkat Mirziyoev came to power in December 2016, the economy of Uzbekistan started booming, Wiederspan says; “The Uzbek government sees that prices for renewables are falling, and does not want to miss the train.” In March 2017, the Government of Uzbekistan announced that five 100 MW solar plants will be installed in the country in the period 2017-2021. In May 2018, Uzbekistan’s government announced that the country’s state-owned power utility, JSC Uzbekenergo, had signed an agreement with Canadian-based project developer, SkyPower Global for the construction of several large-scale solar PV plants with a combined capacity of 1 GW, across several regions of the country. The government issued a decree in April, according to which SkyPower will invest approximately $1.3 billion in solar PV facilities, which will be owned and operated by the company. In May of last year, the President of Uzbekistan approved the State Action Plan on Renewable Energy, according to which 810 projects with a total value of $5.3 billion are planned for the period 2017-2025. The share of solar and wind energy should be increased from less than 1% to 2.3% and 1.3% respectively by 2025. According to this plan, the country has set the following targets for solar PV: 100 MW in 2018, 200 MW in 2019, 300 MW in 2021, 450 MW in 2025. But, investors may remain cautious due to the trouble experienced by the Asian Development Bank (ADB). In 2013, ADB agreed to provide a $110 million loan to the Uzbek government to fund the construction of the country’s first on-grid solar PV power park, a 100 MW installation located in the country’s central Samarkand province. It also planned the construction of a 100 MW on-grid crystalline PV power plant in the Surkhandarya region, in the southeast of Uzbekistan. Since then, both projects were postponed several times and disappeared from the news radar. In late 2017, all ADB solar projects in Uzbekistan had been cancelled at the Uzbek government’s request. Cindy Tiangco, ADB Senior Energy Analyst confirmed this in an email to pv magazine. “There is currently no ADB solar project programmed in UZB,” Tiangco said, not giving any reason. The only legacy seems to be the International Solar Energy Institute in Tashkent, launched with the support of ADB in 2012 to provide expertise for solar energy education and training. With an area equal to the territory of the European Union, and a population equal to the Netherlands, oil and gas rich Kazakhstan has enormous potential for solar and wind. About 75% of the country’s electricity demand is currently covered by coal generation. ‘The green economy’ has been a buzz phrase in Kazakhstan ever since President Nursultan Nazarbayev unveiled his strategy to modernize the economy back in 2012. Under his plan, the share of renewable sources in electricity generation should increase from 1% today to 3% by 2020, to 10% by 2030 and to 50% by 2050. The country has introduced fixed feed-in-tariffs and a number of incentives, including grid-access and tax exemptions. In summer 2017, Kazakhstan hosted a World Expo under the slogan “Future Energy” in an attempt to improve the international image of the country, and to attract investors and high technology. “In the World Bank’s Doing Business Index, Kazakhstan ranks 36 of 190 countries,” says Luc Graré, CEO of Belgian-based developer Qway Energy, which has a subsidiary in the Kazakh capital Astana. “Registering a company takes only three days. An international finance center with a British court system was introduced in Astana. You pay zero corporate and income tax”. Qway developed a 350 MW portfolio of utility scale solar PV projects in the southern provinces of Kazakhstan, and is going to take part in auctions this year. “Surely, renewable energy targets could be more aggressive, and Kazakhstan has a big learning curve. But for me it is a hidden champion”, Graré says. He believes that China’s One Road One Belt initiative, and its other road and infrastructure prospects will generate interest from international investors in Kazakhstan. Hitherto, two utility-scale projects were realized in Kazakhstan, both with the backing of the European B-ank for Reconstruction and Development (EBRD): The 50 MW Burnoye Solar-1, in the southern region of Zhambyl, and a 50 MW wind power park near the capital Astana. EBRD is currently co-financing the expansion of Burnoye 1 by another 50 MW, and the construction of the 50MW Baikonur Solar park in the Kyzylorda region in the south of the country, close to the border with Uzbekistan. The Baikonur Solar park will also be co-financed by the Clean Technology Fund and Asian Development Bank in a first joint international renewables project. Both solar PV projects were developed by Samruk Kazyna United Green Energy Ltd., a joint venture between U.K. investment firm UG Energy Ltd and Samruk-Kazyna Invest, a division of the Kazakhstan’s sovereign wealth fund. EBRD also plans to fund the 14 MW Zadarya solar PV project developed by French-based Urbasolar in southern Kazakhstan. Yet, EBRD’s projects have a different funding platform and are supported on ministerial level, Dr. Klaus Eichhorn, Managing Partner of German-based Auditax Management Beratung says. “These are state showcase projects, which have nothing to do with the real market, and with a lobby and a financing structure, which are not available to private project developers”. In 2015, Auditax Management Beratung was invited together with IBC Solar AG by the office of Krymbek Kusherbayev, Governor of Kyzylorda region in the south of Kazakhstan, to develop a 30 MW solar PV project. As work on the project got underway, it turned out that many administrative processes were underdeveloped and not well thought through. One of the biggest barriers was the linkage of feed-in-tariffs to Kazakhstan’s national currency the Tenge, and a missing linkage to U.S. dollar. “This is an absolute no-go for investors, because projects under such conditions are not bankable,” Eichhorn says. In August 2015, the Tenge saw a dramatic loss in value, which hit many investors hard. Despite numerous requests by international investors, the Kazakh government would not link the feed-in-tariff to U.S. dollars. In March 2016, Kanat Bozumbayev, a former regional governeor with experience in the oil industry, was appointed the new Energy Minister of Kazakhstan. “The first thing Bozumbayev announced upon his appointment was a change to the auction system,” says Eichhorn. “And then for almost 1.5 years no information on procedures of auctioning was available. During this period all investors interested in the Kazakh RE market were in limbo”. In March 2018, the energy ministry finally unveiled details of the planned series of auctions, allocating a total of 1 GW of large scale renewable energy capacity, including 290 MW of solar PV. Auctions planned for May, August and October will allocate not only capacity, but also projects in specific regions. In fall 2018, Auditax Management is planning to take part in the auction. According to Auditax Management, the strongest opponents of renewables in Kazakhstan are the grid operator and the fossil fuel industry. “On several occasions we were told off the record that Kazakhstan does not need renewables due to huge coal and gas reserves, which would suffice for centuries,” Eichhorn says. “Small scale on and off grid sectors are still largely sleeping. No specific schemes or rewards are there to financially support their deployment,” says Viktor Wiederspan. “At the moment they are just not economically attractive. Due to higher customs, transport and guarantee costs, solar PV systems are more expensive than in Europe. The costs for residential PV systems up to 10 kW are currently about € 1.600-1.800 in Kazakhstan compared to € 1.200-1.300 in Germany”. Off grid PV solutions are as a rule at least 50% more expensive in Kazakhstan than in Germany. “The majority of population in rural areas, where such solutions are most needed, cannot afford them, and prefer to buy 1 or 2 kW solutions of lower quality, which do not last long”, Wiederspan says. He is hopeful that the sector might start to grow in three to five years, as electricity prices grow, and the costs of solar keep falling.